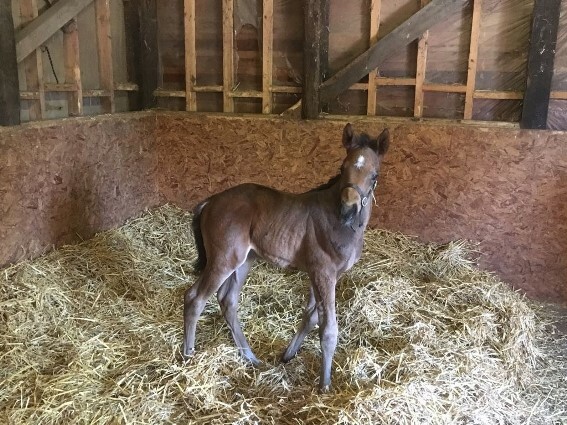 This is the latest addition to the yard, a lovely filly foal born on the 4th May to Call At Midnight by Clovis du Berlais. She is a lovely, big, strong type and Midnight is a great mum so both are doing well. 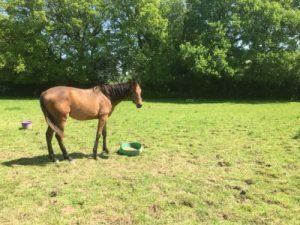 It will be fascinating to see what she develops into and if she is half as good as her mother and aunts, she will win plenty of races. The second photo is of her half sister and Midnight’s first foal who is now a yearling. She is by Pethers Moon and although not over big, she is well put together and has a nice character. This years foal will be a bit heavier all round and have more bone.